EK® is releasing a new AM4 monoblock for the MSI® X470 Gaming Pro Carbon motherboard! 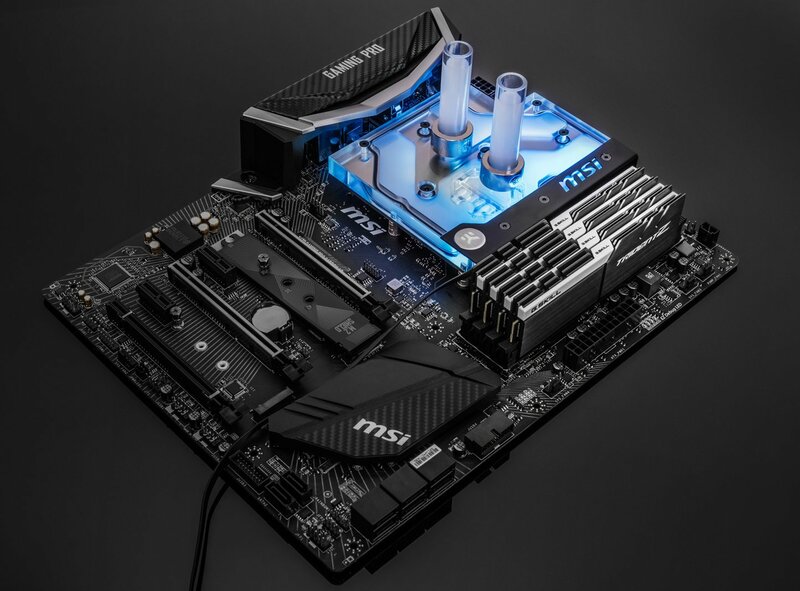 EK Water Blocks, the Slovenia-based premium computer liquid cooling gear manufacturer is releasing a new AM4 socket based monoblock tailor-made for the MSI® X470 Gaming Pro Carbon motherboard. The EK-FB MSI X470 Pro Carbon RGB Monoblock has an integrated 4-pin RGB LED strip and it offers unparallel aesthetics alongside with superior performance! The RGB LED in the monoblock is compatible with MSI® Mystic Light Sync, thus offering a full lighting customization experience! 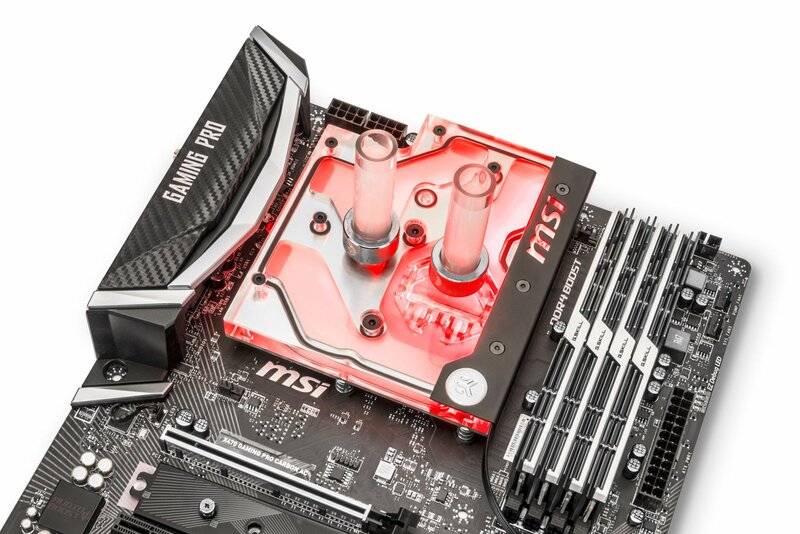 This is a complete all-in-one (CPU and motherboard) liquid cooling solution for the MSI® X470 Gaming Pro Carbon motherboard that supports the second generation of AMD® Ryzen™ and 7th Generation A-series/Athlon™ processors. Designed and engineered in cooperation with MSI®, this monoblock uses award-winning EK-Supremacy EVO cooling engine to ensure the best possible CPU cooling. This water block directly cools AMD® AM4 socket type CPU, as well as the power regulation (MOSFET) module. Liquid flows directly over all critical areas, providing the enthusiasts with a great solution for high and stable overclocks. Like with every EK monoblock, EK-FB MSI X470 Pro Carbon RGB features high flow design and this monoblock can be easily used with the system using a weaker water pump as well. This AM4 socket based monoblock also comes with a redesigned cold plate which ensures that the monoblock has better mechanical contact with the IHS of AMD® AM4 socket based processors, thus enabling better thermal transfer. 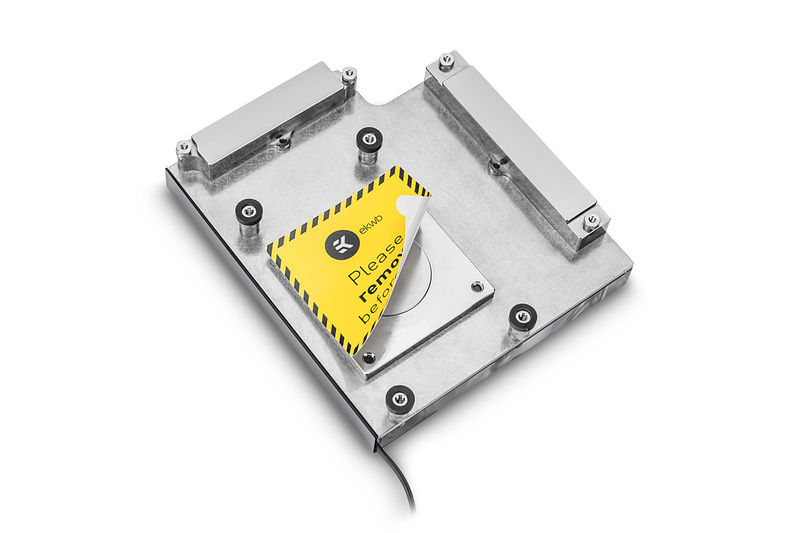 A standard 4-pin 12V RGB LED strip is installed in the monoblock that connects to the motherboard’s 4-pin LED header or it can be connected to any other standard 12V 4-pin LED controller. The LED strip cover can easily be removed for adjusting the cable orientation or replacing the ordinary LED strip with a Digital LED strip or any other custom solution as well! The enclosed Digital RGB LED strip is compatible only with the dedicated 3-pin digital LED motherboard header. MSI® motherboards feature advanced LED lighting options and with the MSI® Mystic Light Sync, users can individually address color to each LED on the monoblocks integrated Digital LED strip. 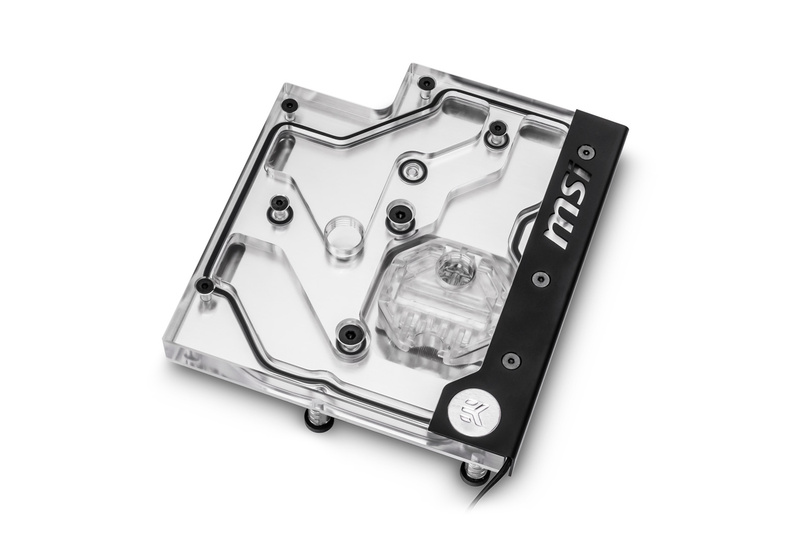 EK-FB MSI X470 Pro Carbon RGB Monoblock is made in Slovenia, Europe and is readily available for pre-order through EK Webshop and Partner Reseller Network. The EK-FB MSI X470 Pro Carbon RGB Monoblock will start shipping on Monday, 23rd of July 2018! In the table below you can see the manufacturer suggested retail price (MSRP) with VAT included.